Ascension Of Jesus Christ, 16th Century Painting By Giovanni Stradano At The Basilica Santa Croce, Florence, Italy. Lizenzfreie Fotos, Bilder Und Stock Fotografie. Image 111725985. Standard-Bild - Ascension of Jesus Christ, 16th Century Painting by Giovanni Stradano at the Basilica Santa Croce, Florence, Italy. 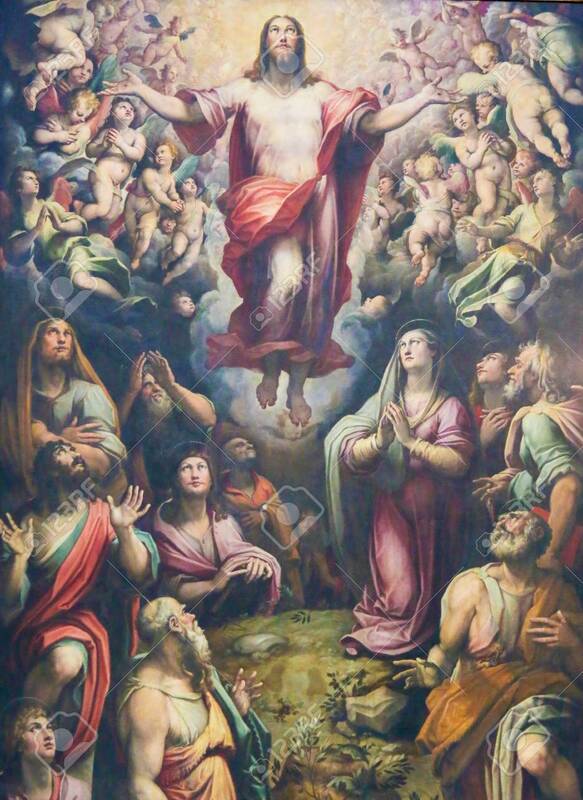 Ascension of Jesus Christ, 16th Century Painting by Giovanni Stradano at the Basilica Santa Croce, Florence, Italy.